From natural beauty to fabulous food and a unique local culture, this island country is pure magic. Running the gamut of astonishing colours from ice-blue and turquoise to teal and cobalt, New Zealand’s waterbodies comprise an impressive 4,25,000 km of rivers and streams, 4,000 lakes and more than 200 underground aquifers at the last count. Preserving their inherent character, protecting the local flora and wildlife and enabling the country’s indigenous people, the Maori, to maintain traditional ties with their ancestral water are all top priorities of the administration. With great tourism potential, recreational prospects and economic promise, each waterbody is treated with the utmost love, respect and care. The result is picture-perfect panoramas that should make every travel buff’s bucket list. The sky hangs large and startlingly low over beech forests hedged with giant fern; stand after stand of pine serve as windbreakers; massive trees are contorted into intricate shapes by the force of powerful gales blowing in from the Pacific Ocean and the Tasman Sea; shrub-like gorse and heather bloom bright yellow and deep purple. New Zealand has approximately 6.4 million hectares of indigenous forest, almost entirely located in the South Island. Kiwi country was largely a forested land mass prior to human arrival, but today, forests are being extensively replanted wherever required, and ecotourism, conscientiously undertaken, is impacting and disciplining the colossal wilderness. The Maori tribes have been resettled, apologized to and included in everything from seats in the parliament to mainstream jobs in the public and private sectors. Every place in Kiwiland has its Maori name displayed proudly, Maori handicrafts sell (very) well and visitors are welcomed with the Maori greeting kia ora. At a time when indigenous peoples of the world are being isolated, ghettoized, ignored and oppressed, this is indeed heart-warming. The Polynesian settlers arrived in New Zealand between 1250 and 1300 CE, and, over time, they deve-loped their own culture, language, mythology, crafts and performing arts. The Europeans came in the 17th century. While relations between the Maori and the new arrivals were initially amicable, land disputes soon arose, and so did conflict. However, earnest efforts have been ongoing since 1999 for a more inclusive society and to ensure that the Maori, who form 14.9 per cent of the population today, are active in all spheres of New Zealand life and culture. In 2015, New Zealand’s national museum, Te Papa Tongarewa in Wellington, collaborated with Weta Workshop, a design and special-effects company, to create the exhibition Gallipoli: The Scale of our War. This long-running crowd-puller takes visitors through labyrinths of that ill-conceived World War I campaign, as a tribute to the brave Anzac (short for Australian and New Zealand Army Corps) troops, who lost their lives in battle. 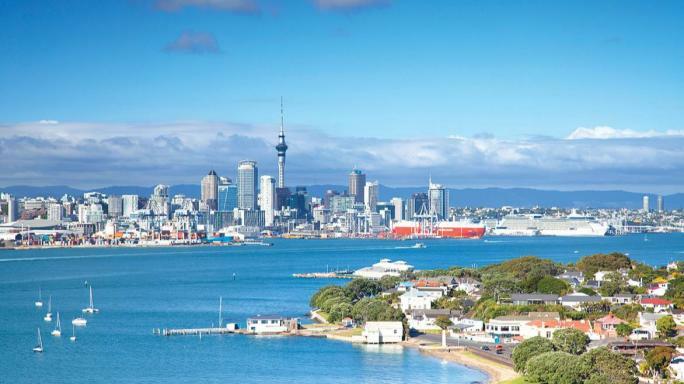 New Zealand also honours its war heroes in the form of statues, bridges and more than 1,000 war museums. Descendants of the Gallipoli Lone Pine, the solitary tree that survived the battle at Gallipoli, are planted as WWI memorials. Anzac Day, 25 April, is observed as a day of commemoration for those who died in the service of their country. One finds as many young people as older ones paying their respects with warmth and passion on this day. Lamb and beef chunks that melt in the mouth; mussels, whitebait, crayfish; dark, ambrosial chocolate; herb-infused hard and soft cheeses; the sharply sweet taste of the kumara (NZ’s amazing sweet potato); hokey-pokey ice cream—vanilla ice cream with pieces of honeycomb; meringue-based pavlova, which New Zealand claims as its own creation; Pinots and Sauvignons from Marlborough country; Maori hangi with chicken, pork and mutton, as well as various vegetables, cooked in an underground pit. Fact is, one could go to Kiwiland just to eat and drink!